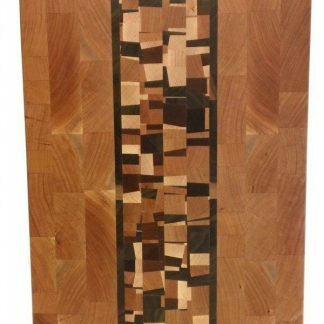 Create a gift that will be appreciated for years! 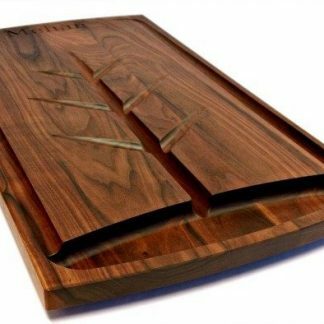 Set includes three sizes of cutting boards, matching stand and custom engraving, that fits well at the back of a counter space. 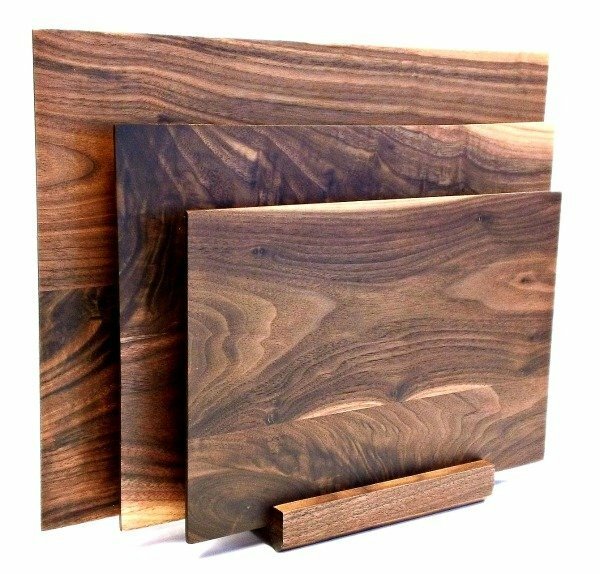 Sizes of each board are listed below. 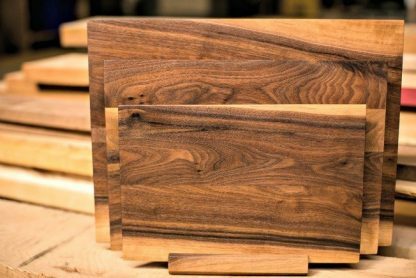 It’s hard to find someone who doesn’t appreciate the rich beauty of American walnut. 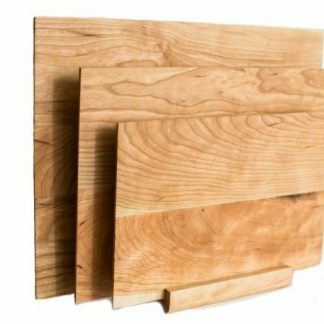 Our Trio is a set of three sizes of boards that we’ve matched for grain. 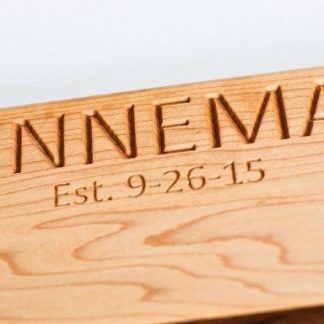 Set includes a stand and custom engraving of your logo, contact information and a simple message on the backs of each board to create a gift that will be appreciated for years. 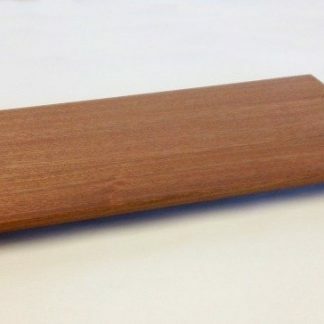 The smallest board measures 8″ x 12″ and is perfect for small slicing jobs, making sandwiches or serving a snack. 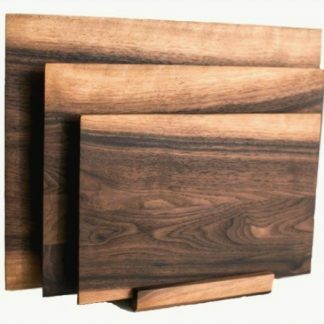 The middle board measures 10″ x 14″ and provides a bit more room for dicing and chopping tasks. 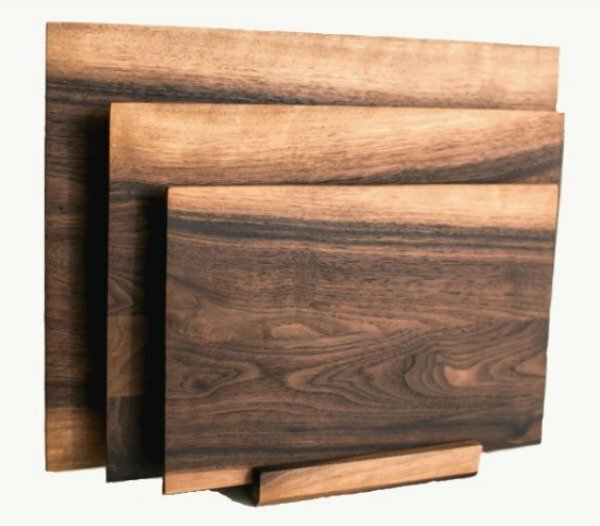 At 12″ x 16″ the largest board in the set is a convenient size for preparing veggies and food prep tasks. 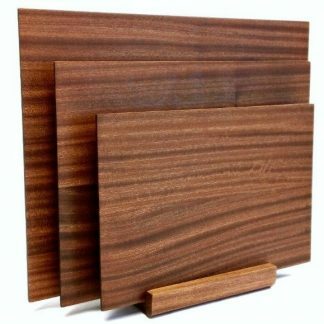 Our Trio sets are also a convenient way to dedicate one board for meats and another for veggie prep. Please specify if you prefer not to have any of walnuts lighter sapwood in your set. 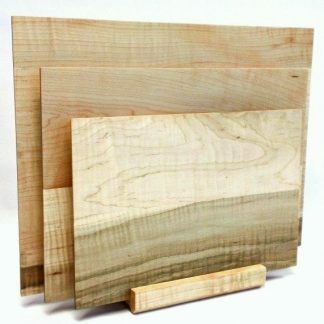 We will do our best to provide you with boards that are more uniform in color.